Curved Air Announces Third Volume of its Ongoing Rarities Series With The Second British Rock Meeting 1972 – OUT NOW! London – Legendary Prog band Curved Air is pleased to announce the third volume of its ongoing rarities series with The Second British Rock Meeting 1972 – OUT NOW! The sound quality is of an astonishing fidelity for a live recording from the early 1970s and features the only known recordings of the band improvising! The last track is an extended jam and a version of the band’s hit “Vivaldi” – lasting well over 30 minutes! The booklet features a written introduction by Francis Monkman, who mastered the audio and curated the release personally, along with two essays written by attendees at the festival and previously unseen pictures. These recordings capture a unique set from the band’s heyday, their only recorded improvisations and all in unbelievable sound quality for a festival in the early 70s! London – Much to the excitement of prog music fans worldwide, legendary Curved Air violinist Darryl Way is releasing a new Concept Album/Rock Opera called “Underworld” on June 21st. “Underworld” is released in 2 versions: “Underworld Rock Opera Complete” which is the whole show with dialogue and narration and “Underworld Rock Opera the Songs” which just contains the songs. London, UK – “Curved Space & Infinity”, the second volume of the CURVED AIR RARITIES SERIES, is now available! These TWO separate albums, packaged together are a must for fans of the legendary Prog band and instrumental improvisational music! The line-up on “Curved Space”, which was previously released as Francis Monkman’s “Jam” but now features two previously unreleased bonus tracks, includes Francis Monkman (guitar), Florian Pilkington-Miksa (drums) and Rob Martin (bass). Curved Air Legend Darryl Way Releases New Prog Album “Myths, Legends and Tales” – OUT NOW! London, UK – Darryl Way is the co-founder of CURVED AIR, a trail blazing rock violinist and composer. “Myths, Legends and Tales” is Way’s latest PROG album which takes its inspiration from some of the mythologies (both ancient and present day) which have inspired him. The album features full length prog tracks which will appeal to Curved Air fans and new listeners who have been enjoying Way’s return to the music industry in a burst of fresh creativity. London, UK – Much to the anticipation of press and music fans worldwide, UK progressive rock legends Curved Air, featuring iconic vocalist Sonja Kristina, released a new CD ‘North Star’ via Cherry Red Records on March 17, 2014! ‘North Star’ is the band’s first album featuring new studio material since 1976! The full-length CD features a mixture of re-recordings, cover songs and seven new original compositions, all housed in a lavish digi-pack. Curved Air, originally formed in 1969, is a groundbreaking progressive art-rock band renowned for their showmanship. Each member pushed the boundaries of possibilities for rock music performance. Vocalist Sonja Kristina won the hearts of a generation of music lovers and was voted top British Female Vocalist of the 1970’s whilst the three top twenty albums that this lineup released are regarded as classics. Breaking through from the underground scene into top of the early ’70s album charts, Curved Air’s musicians hailed from mixed artistic backgrounds, including classic, folk and electronic sound. The resulting sound of the band is a mixture of progressive rock, folk rock and fusion with classical elements. Along with High Tide and East of Eden, Curved Air was one of the first rock bands after It’s a Beautiful Day and The United States of America to feature a violin. Considered (according to AllMusic) “one of the most dramatically accomplished of all the bands lumped into Britain’s late-’60s prog explosion, Curved Air released eight studio albums (the first three of which broke the UK Top 20) and had a hit single with ‘Back Street Luv’, which reached number 4 in the UK. Numerous band splits and reformations have occurred since then but the current line-up of Sonja Kristina, Florian Pilkington-Miksa, Chris Harris, Robert Norton and Paul Sax have been together since 2009”. With classic era guitarist Kirby Gregory rejoining the band in 2013. Curved Air’s music was also described as “’Art Rock’, the quasi classical imprints of Terry Riley hooked onto beautiful and demonic violin combined with electronic adventurous synths and interwoven with brilliant guitar wizardry mesmerisingly embroidered by the subliminal and exotic presence of a unique girl lead singer Sonja Kristina”. Though progressive music pioneers they were hailed as Pop Stars when the sultry “Back Street Luv” was a Top 5 hit in 1971. All of the players impress. Although only drummer Florian Pilkington-Miksa is from the original line-up, Sonja has found some stunning new instrumentalists who immerse the audience in a set of swirling, whirling solos that emphasize moods and nuances and floating waves of sound that act as a counterpoint to Sonja’s dramatic sense of theatricality. 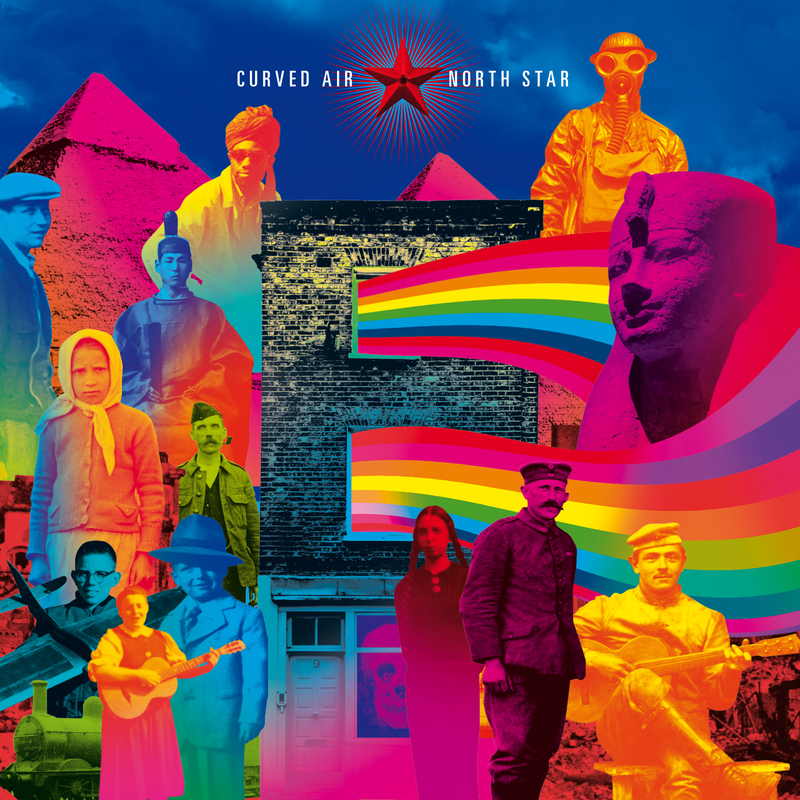 Much to the excitement of Curved Air fans, classic-era guitarist Kirby Gregory returns to the fold for ‘North Star’! 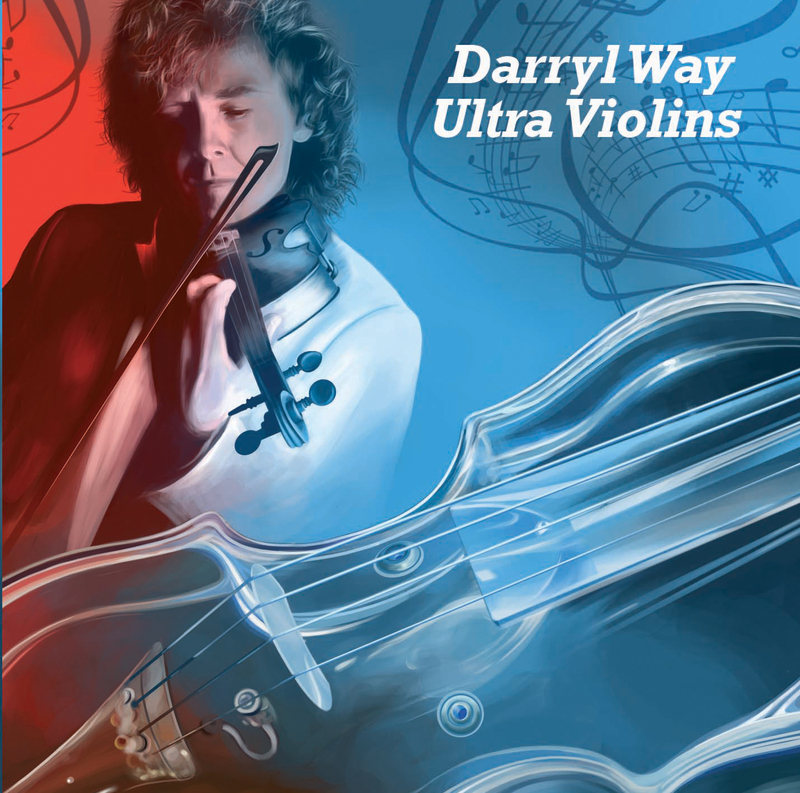 Curved Air Legend and Virtuoso Violinist Darryl Way Releases First Solo Album In 20 Years! Originally formed in 1969, Curved Air was a groundbreaking progressive art-rock band renowned for their showmanship. Each member pushed the boundaries of possibilities for rock music performance. Darryl Way with his flamboyant virtuoso exploration of electric violin, Francis Monkman with his brilliant innovative sound manipulation using the VCS3 synthesiser, keyboards and fiery intricate guitar playing. and Florian’s expressive approach to rock drumming. 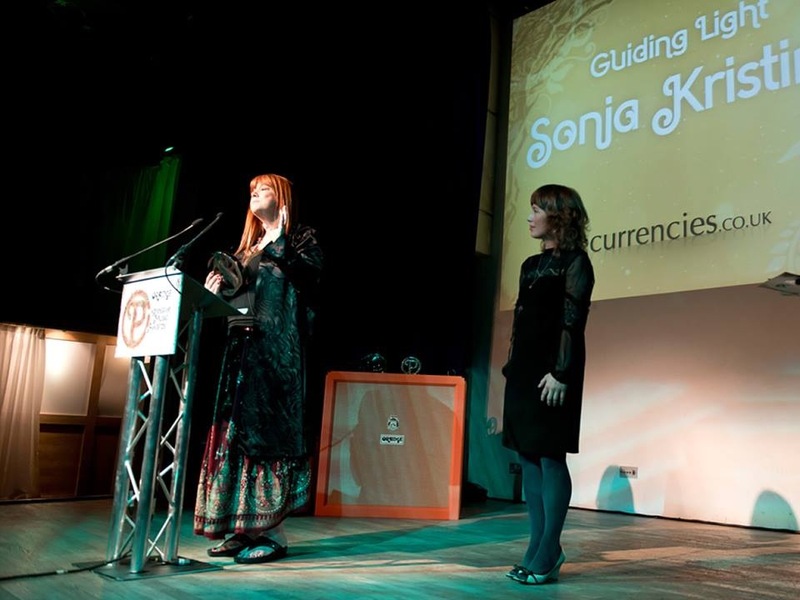 Vocalist Sonja Kristina won the hearts of a generation of music lovers and was voted top British Female Vocalist of the 70’s whilst the three top twenty albums that this lineup released are regarded as classics. Darryl wrote the music for the Top 10 hit (reached #4) “Back Street Luv” and was a major contributor to the 3 albums that made the Top 20. With Curved Air he toured extensively, performing in practically every major city in both America and Europe. Before becoming headliners themselves, Curved Air toured with Black Sabbath in the UK and in the USA they toured with Deep Purple, Jethro Tull and Emerson, Lake & Palmer. They also appeared on the same bill as The Doors, Steppenwolf, B.B. King, Johnny Winter and Dr. John. After Curved Air Darryl went on to release several critically acclaimed solo albums in both ‘rock’ and ‘classical’ genres. Among these, was his ‘Concerto For Electric Violin’, which was premiered on the South Bank Show with the Royal Philharmonic Orchestra and himself as soloist. Darryl’s collaborations include working with Sir Tim Rice, Sting and Gary Brooker (Procol Harum). In classical genres he has orchestrated Stewart Copeland’s ballet “King Lear” for the San Francisco Ballet, and Stewart’s opera “The Holy Blood and Crescent Moon”, premiered by the Cleveland Opera in the US. In 1996, Darryl’s own opera “The Master and Margarita” was premiered at The Place Theatre in London. Alongside these projects, Darryl has also worked as a film and television composer. As a violinist, Darryl has lead the London-based Electric Symphony Orchestra for concerts at the Royal Festival Hall, and lead and recorded with The Elektra Ensemble, performing classical and contemporary music. As a session musician, he has recorded with Jethro Tull, Sky and Marrianne Faithful, as well as several film scores with the National Philharmonic Orchestra. Recent work includes being musical director for the soprano Emma Shapplin, for a series of televised UNHCR concerts at the Parthenon in Athens. Recent compositions include a Symphonic Choral work entitled “Siren’s Rock”, premiered at the Plymouth Guildhall with the South West Sinfonietta, Opera South West, Naomi Harvey (WNO) soprano and Stephen Crook, tenor. Recent projects include writing and producing two albums and DVDs (in 5.1 Surround Sound) for a classical crossover project entitled Verisma. For this project he directed and produced four videos, which have been broadcast on Classic FM TV. Sept. 6, 2012 – London, UK – Reformed in 2008 after a sabbatical of 18 years, Curved Air’s concert and festival appearances in the UK, Japan, Italy, Malta, Germany, Portugal, Holland and Belgium continue to thrill a steadily increasing mass of new and old fans. Their experimental blends of classical themes, electronic sounds and pop/rock energy and beautiful, timeless songs are performed with fire and passion and tremendous musicianship. Now, much to the excitement of their fans worldwide, Curved Air have released a new CD/DVD titled ‘Live Atmosphere’ – ‘Songs of revolution, insanity, loss, desire and ghosts: a unique compilation of powerful Curved Air songs played by a vital contemporary Curved Air’. ‘Live Atmosphere’ includes potent new versions of many of the band’s classic early 1970’s repertoire, including the hits “It Happened Today” and “Backstreet Luv” as well as fan favorites such as “Propositions”, “Phantasmagoria” and “Stretch”. Produced by Marvin Ayres it showcases both new and original members of the band and comes with a bonus DVD with a tour featurette and an atmospheric visual collage. Tracks: Atmospheric Overture (intro), Marie Antoinette, Propositions, Easy, Hide and Seek, Screw, Phantasmagoria, Melinda, Everdance, Back Street Luv, Stretch, It Happened Today, Atmospheric Overture (outro). ‘Live Atmosphere’ is available from http://www.CurvedAir.com and other online stores. A new studio album will follow by the end of 2013. Considered (according to AllMusic) “one of the most dramatically accomplished of all the bands lumped into Britain’s late-’60s prog explosion”, Curved Air is a pioneering progressive rock group of musicians from mixed artistic backgrounds. They are famed for their unforgettable live performances and ‘Art Rock’ music – the quasi classical imprints of Terry Riley hooked onto beautiful and demonic violin combined with electronic adventurous synths and interwoven with brilliant guitar wizardry mesmerisingly embroidered by the subliminal and exotic presence of a unique girl lead singer Sonja Kristina. All these elements elevated them from the underground Roundhouse scene to top the album charts in the early ’70s. Along with High Tide and East of Eden, Curved Air was one of the first rock bands after It’s A Beautiful Day and The United States of America to feature an electric violin, inspiringly and dramatically explored by the excellent Darryl Way and now by the dynamic Paul Sax. Original keyboard player/guitarist Francis Monkman was the trailblazer for future ‘electronica’ and ambient extemporization. Robert Norton has inherited this sonic template and himself a spinner of ethereal soundscapes extends the boundaries towards further horizons while Florian Pilkington Miksa on drums then and now, with Chris Harris’ bass guitar artistry, provides the expressive rhythmic pulse that is the Curved Air signature. Curved Air released eight studio albums and though progressive innovators they were hailed as Pop Stars when their single, the sultry “Back Street Luv” was a Top 5 hit in 1971. The ‘Live Atmosphere’ line-up of Sonja Kristina, Florian Pilkington-Miksa, Kit Morgan, Chris Harris, Robert Norton and Paul Sax have been touring together since 2009. Before Curved Air, actress and singer Sonja Kristina performed in the British Folk Clubs during her teens. In 1968 she starred as “Chrissy” in the radical Tribal-Rock Musical ‘Hair’ when it opened at the Shaftesbury Theatre in London. As Curved Air’s lead singer and lyricist she topped the British female vocalist polls – the first UK girl singer to front a Rock band. She won the hearts of a generation of young men and boys and the music cognoscenti. Curved Air is: Vocalist Sonja Kristina, Drummer Florian Pilkington Miksa, Guitarist Kit Morgan, Violinist Paul Sax, Bass Chris Harris and Keyboard Player Robert Norton. 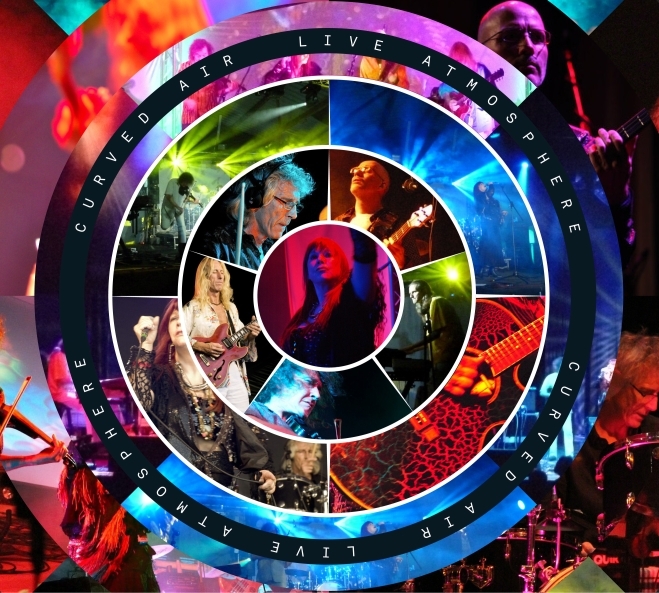 Curved Air’s new release ‘Live Atmosphere’ produced by Marvin Ayres is available from http://www.CurvedAir.com and other online stores.